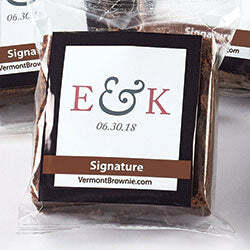 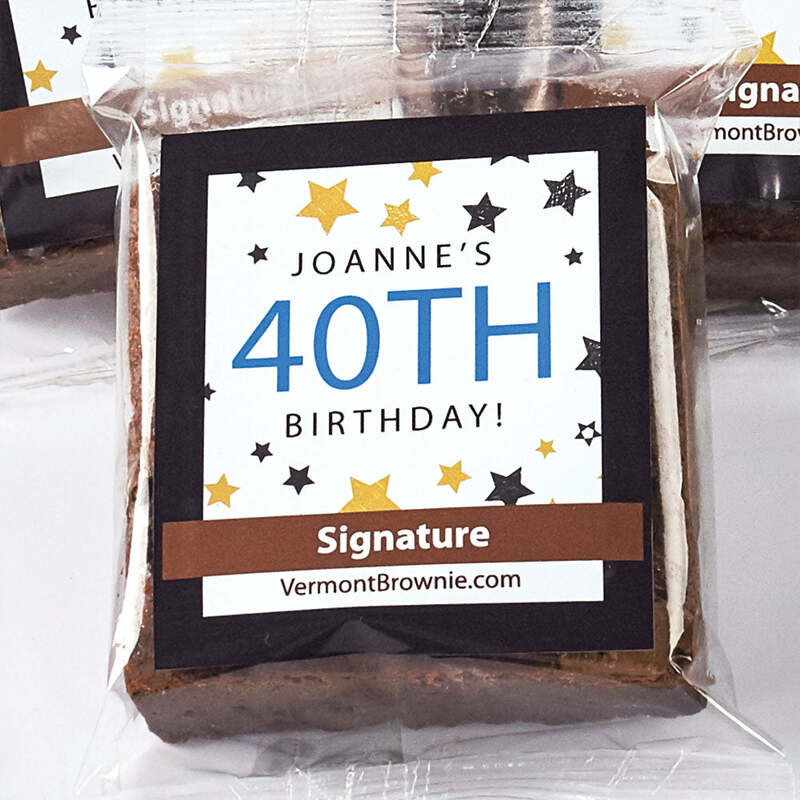 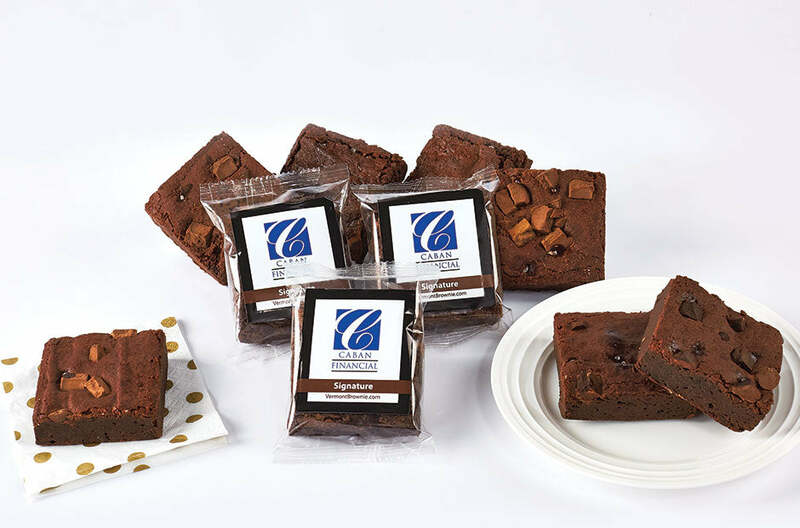 Individually-wrapped Vermont Brownies can be purchased in bulk and customized with your logo, photo or artwork for FREE! 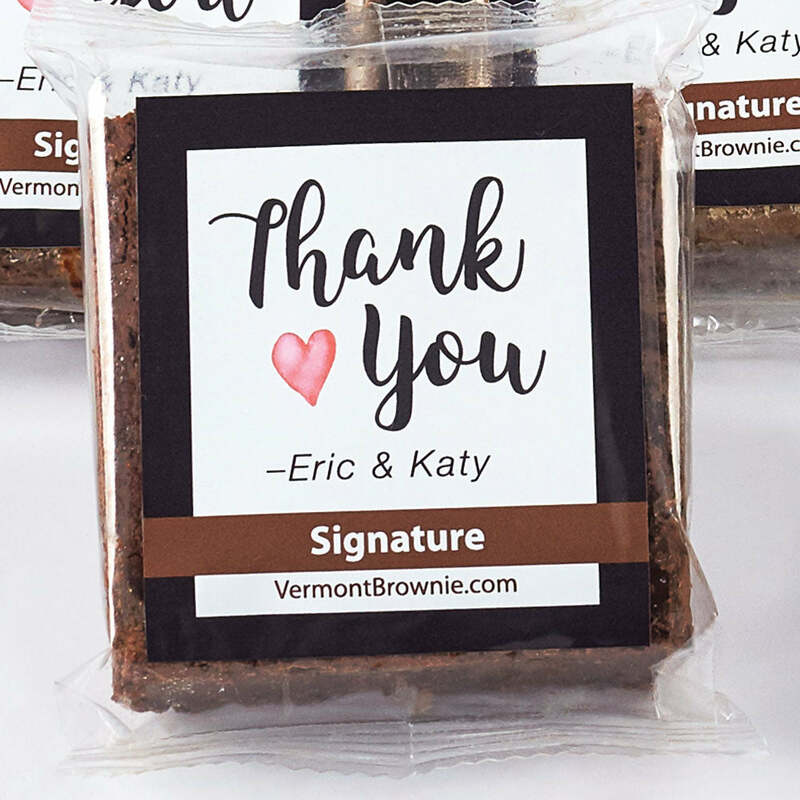 Perfect for promoting your business at tradeshows and special events, or to make a wedding, shower or special party that much more personal. 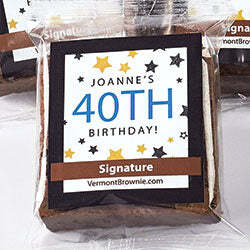 Custom quantities available. 50 piece minimum per flavor. Prices do not include shipping.